By now, it’s probably safe to say that just about everybody keeping up with DC is pumped for the release of Dark Nights: Metal, which not only serves as the publisher’s next major event, but also happens to be the highly anticipated reunion of writer Scott Snyder and artist Greg Capullo. 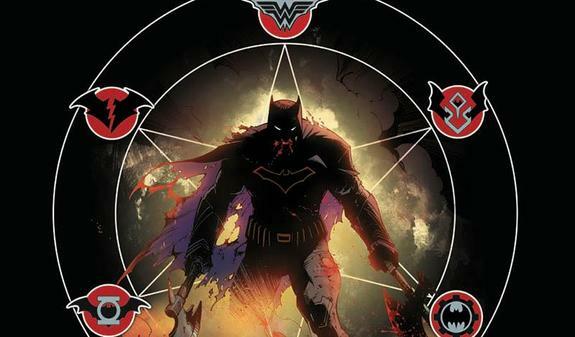 And if it’s anywhere near as good as the prelude one-shot that was Dark Days: The Forge #1 (you can read our five-star review here), well, then we might be in for a ride every bit as thrilling as their legendary run on Batman. But, as more details have slowly come to light, it’s quickly become apparent as to how far-reaching this tale will be. Sure, such a thing is to be expected of major events, but you never know when the publisher intends on a limited series being more self-contained or if it’ll be as grandiose as, say, Final Crisis or Blackest Night. From what we can tell, Metal is poised to be placed in that same category. 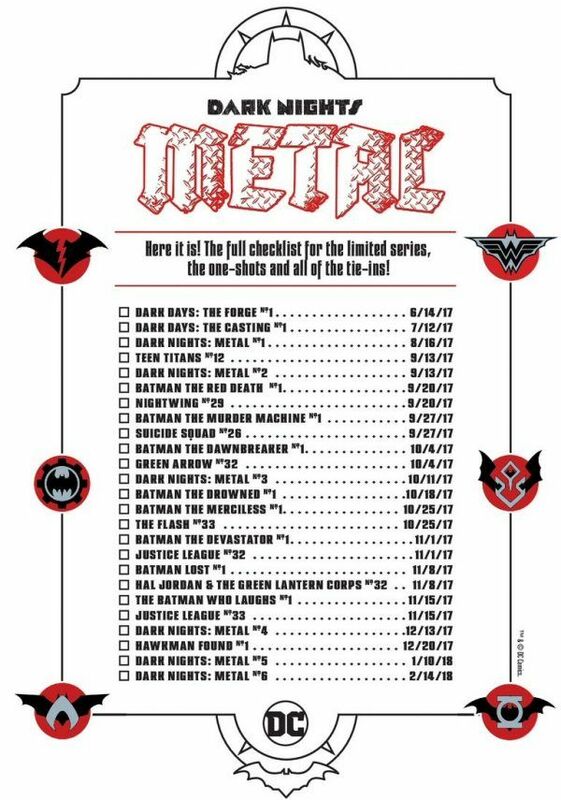 Quite frankly, the recent announcements concerning a handful of one-shots spotlighting evil Batmen hailing from the Dark Multiverse gave us that impression, but now, thanks to the checklist seen below, we’ve gotten a better idea of how encompassing Snyder and Capullo’s brainchild will be. Aside from the already expected titles such as Nightwing, Green Arrow and Suicide Squad serving as tie-ins, it should be most interesting to see how books like Hal Jordan and the Green Lantern Corps are woven into the grand tapestry, thus hinting at how truly cosmic this might get. Come to think of it, the juiciest bits of info yielded by the Dark Nights: Metal reading order may actually be Batman Lost and Hawkman Found. Hey, you have to admit those sound a bit foreboding, so we can probably count on speculation to run rampant concerning their content until respective solicitations arrive.